grain the miller's pig was fattened. The grain is covered by a hard, woody husk to protect the germ and the endosperm. 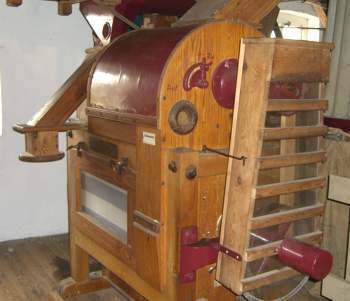 The scourer takes off the peel or bran through fast moving hammers throwing the grain against an emery cylinder inside. With wheat it takes off the oily germ.